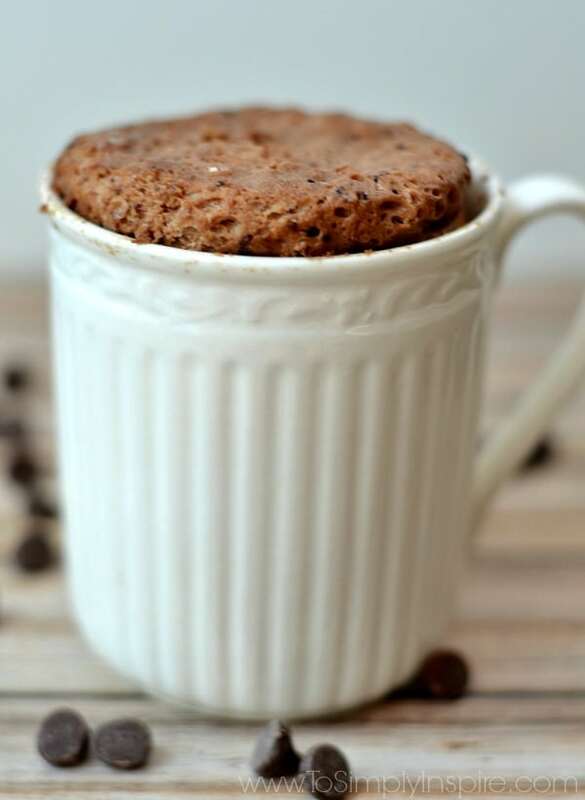 This Amazing One Minute Protein Brownie will truly knocks your socks off. The perfect amount of sweet yumminess to satisfy your craving without any quilt. Now, I know what you must be thinking. One minute? Amazing? Really? But I will confirm with my biggest of biggest “absolutely”! 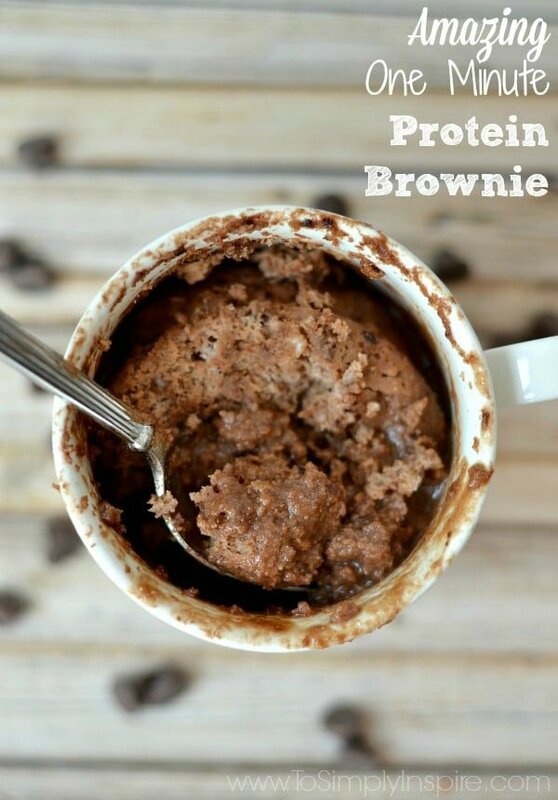 This is truly an amazing one minute protein brownie! I was skeptical too. But of course I had to try it in my quest for more healthy dessert options for me while I am training hard in the gym. 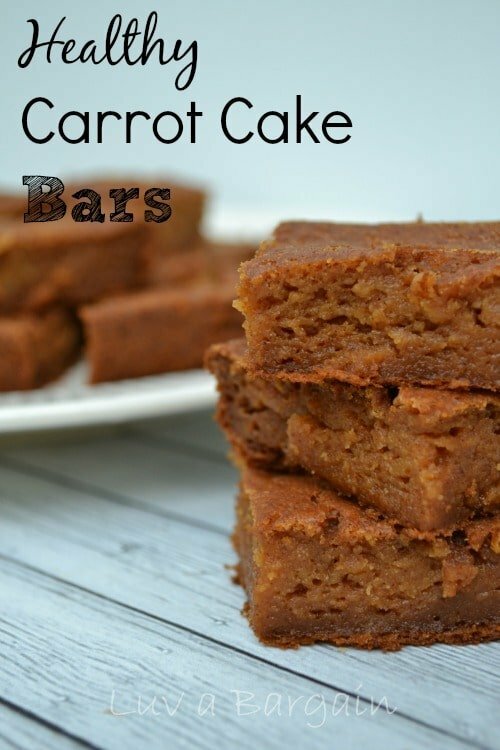 Getting in protein is hard for me sometimes, especially when it comes to snacks and desserts. Enter this fabulous new discovery. It couldn’t be more simple. 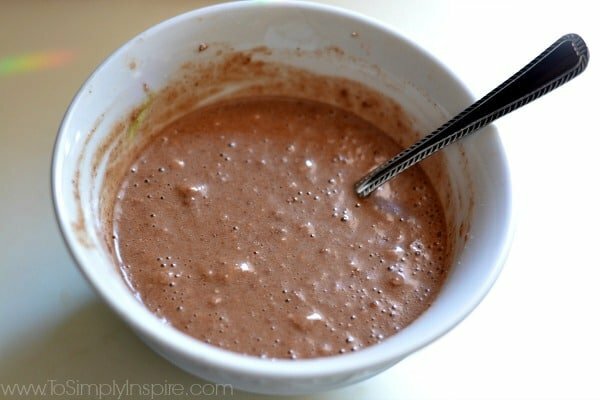 Just a scoop of protein powder of your choice, a tablespoon of coconut sugar, coconut flour, cocoa powder and a 1/2 teaspoon of baking powder. 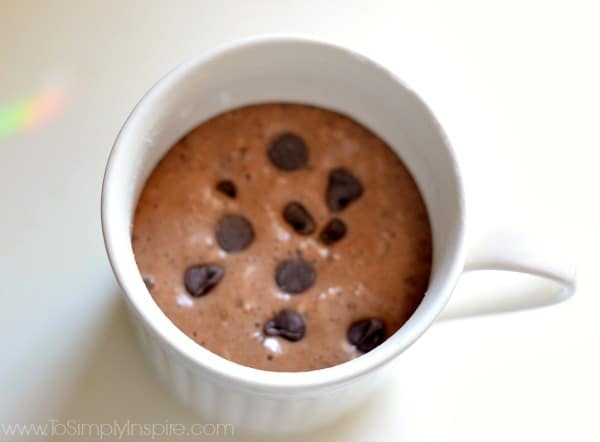 Mixed with a 1/4 cup of egg whites and milk of choice. I used unsweetened vanilla almond milk. While it’s cooking, it looks like it’s going to puff over the sides of the mug. Mine puffed up about 3 inches above the top of the mug! But once it sits for about 2-3 minutes, it settles right down. I cooked mine for exactly 60 seconds (1 minute) After sitting for those couple of minutes, it was the perfect gooey texture for me! Devoured and rubbed my belly in completely joy! 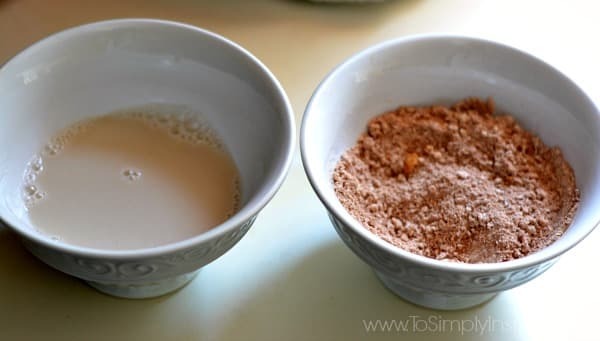 Grease a mug or a small bowl and set aside. 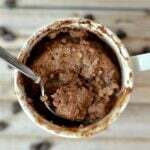 In the greased mug or small bowl, mix the protein powder, coconut flour, coconut sugar, baking powder, and cocoa powder and mix well. In the separate bowl, whisk the egg with the milk. Pour into the dry mixture and mix thoroughly. Top with chocolate chips if desired. Microwave for 60 seconds. For a more fudge-like texture, remove from the microwave earlier. For more cake-like texture, cook a little longer. Remove from microwave and enjoy immediately. Oven option: Pour batter into a small baking dish and bake for 10-12 minutes on 350 degrees F for 10-12 minutes. Protein will vary based on your protein of choice. If you like this, you will also love these other healthy snacks. My coworker made me something similar a few weeks ago. I couldn’t believe how full I felt AND how it satisfied my sweet tooth. The power of protein! I would love it if you linked up this post at the Family Joy Blog Link-up Party which starts on Sundays at 12EST on Ava’s Alphabet and 5 other blogs. Hope you are having a great weekend! What a great Brownie, can’t wait to try it! Thanks so much for sharing with Full Plate Thursday and have a great weekend! 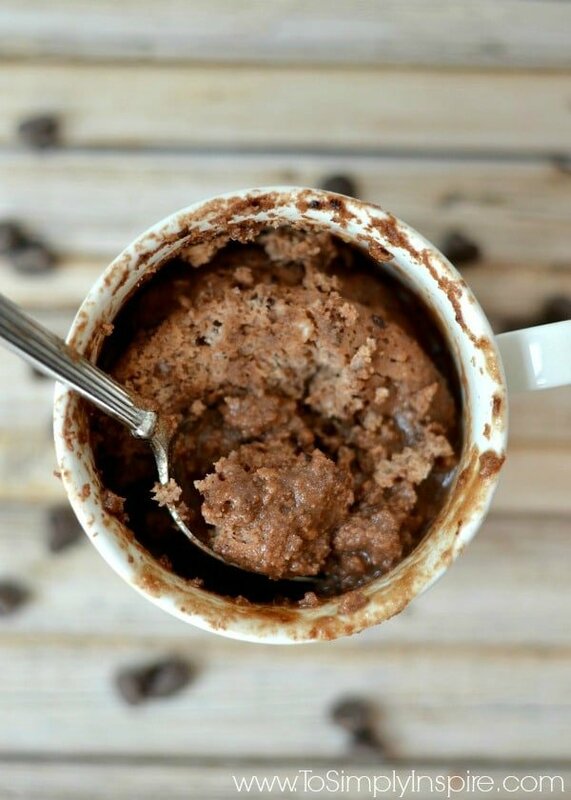 I love the idea of adding protein powder for mug cakes or brownies! 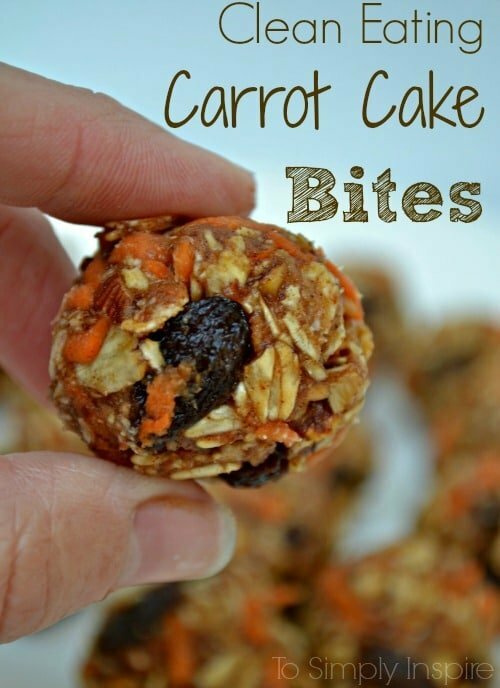 Pinned this one, and looking forward to trying this for a healthier snack, or even breakfast! I’m trying to incorporate more protein in my diet – and what a delicious way to do it! Your One Minute Protein Brownie really is amazing, Sherri! Tweeted and pinned. Thank you for sharing with us at the Hearth and Soul Hop.